In this article, we’re going to explore how to build an event-driven architecture on serverless services to solve a complex, real-world problem. In this case, we’re building a smart city platform. An overview of the domain can be found in part one. If you haven’t read part one, please go take a look now. Initial reviews are in, and critics are saying “this may be the most brilliantly composed look at modern software development; where’s dinner?” (please note: in this case the “critics” are my dogs, Dax and Kiki). Of course, there’s a fair bit of missing glue in the above diagram. For example, how do we take an UpdateReadings command and get it into BigTable? This is where my favorite serverless service comes into play: Cloud Functions! How do we install devices? Cloud Functions. How do we create organizations? Cloud Functions. How do we access data through an API? Cloud Functions. How do we conquer the world? Cloud Functions. Yep, I’m in love! What is Dataflow? It’s a serverless implementation of a Hadoop-like pipeline used for the transformation and enriching of streaming or batch data. Sounds really fancy, and it actually is. If you want to know just how fancy, grab any data engineer and ask for their war stories on setting up and maintaining a Hadoop cluster (it might take awhile; bring popcorn). In our architecture, it can be used to both onramp data from an external source, to help with efficient formation of aggregates (i.e., to MapReduce a large number of events), or to help with windowing for streaming data. This is huge. If you know anything about streaming data, then you’ll know the value of a powerful, flexible windowing service. Fortunately, many (if not all devices) will already need some form of decoding / translation. For example, consider our in-ground parking sensor. Since it’s transmitting data over radio frequencies, it must optimize and encode data. Decoding could happen in the gateway, but we prefer a gateway to contain no knowledge of the devices it services. It should just act as the doorway to the world wide web (for all the Generation Z folks out there, that’s what the “www.” in urls stands for). Ideally, devices would all natively speak “smart city” and no decoding or normalization would be needed. Until then, we still need to create this step. Fortunately, it is super simple with Cloud Functions. Of course, you’ll need to write the code for the “decode” and “convertToCommand” functions. If there’s no timestamp provided by the device, then it would need to be added in one of these two steps. We’ll get more in-depth into code examples in part three. So, in summary, the second step is to normalize all our streams by converting them into commands. In this case, all sensors are sending in a command to UpdateReadings for their associated device. Why didn’t we just create the event? Why bother making a command? Remember, this is an event-driven architecture. This means that events can only be created as a result of a command. Is it nitpicky? Very. But is it necessary? Yes. By not breaking the command -> event -> command chain, we make a system that’s easy to expand and test. Without it, you can easily get lost trying to track data through the system (yes, a lot more on tracking data flows later). Data streams coming into our platform are decoded using bespoke Cloud Functions that output a normalized, timestamped command. So far, we’ve only had to write about 30 – 40 lines of code, and the best part . . . we’re almost halfway complete with our entire platform. Now that we’ve converted all our inbound data into a sequence of commands, we’re 100% into event-driven architecture. This means that now we need to address the challenges of this paradigm. What makes event-driven architecture so great? It makes sense and is super easy to extend. What makes event-driven architecture painful? Doing it right has been a pain. Why? Because you only have commands and events in your system. If you want something more meaningful you need to aggregate these events. What does that mean? Let’s consider a simple example. To get an accurate view, you need to “replay” all the events for the order. In event-driven architecture, this process is often referred to as “hydrating.” Alternatively, you can maintain an aggregate view of the order (the current state of the order) in the database and update it whenever a new command arrives. Both of these methods are correct. In fact, many event-driven architectures use both hydration and aggregates. Bigtable is the database service that Google uses to index and search the entire internet. Let that sink in. When you do a Google search, it’s BigTable that gets you the data you need in a blink of an eye. What does that mean? Unmatched power! We’re talking about a database optimized to handle billions of rows with millions of columns. Why is that so important? 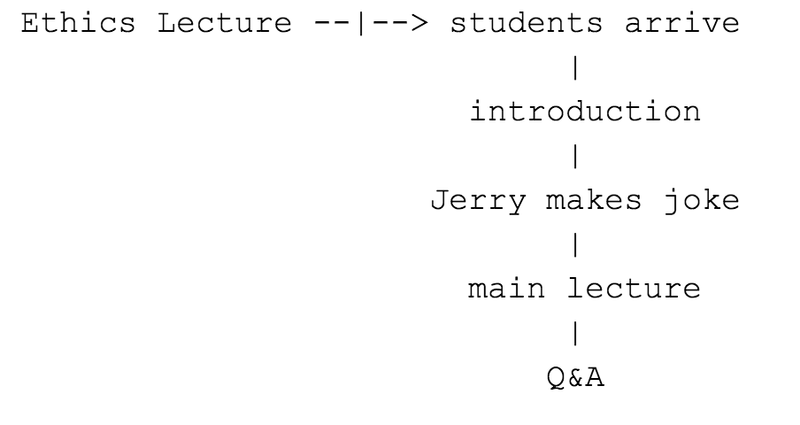 Because it lets us do event-driven architecture right! Why thank you! But honestly, it’s the aspects of the database that matters. This isn’t just any database. Bigtable lets us optimize without optimizing. What does that mean? We can store everything and anything and access it with speed. We don’t need to write code to optimize our storage or build clever abstractions. We just store the data and retrieve it so fast that we can aggregate and interpret at access. These days, processors are fast. So fast that the slowest part of computing is loading data from the disk (even SSD). Therefore, most of the world’s most performant systems use aggressive compression when interacting with storage. This means that we’ll compress all writes going to disk to reduce read-time. Why? Because we have so much excess processing power, it’s faster to decompress data rather than read more bytes from disk. Go back 20 years and tell developers that we would “waste time” by compressing everything going to disk and they would tell you that you’re mad. You’ll never get good performance if you have to decompress everything coming off the disk! This is why storing your data in a database is amazing, if it’s the right database! Seriously, that’s it. You could build any modern web service (social media, music streaming, email) using this architecture. It will scale infinitely and have a max response time for queries of around 3 – 4 seconds. You would only need to write the initial normalization and the required SQL queries for BigQuery. If you wanted even faster responses, you could target queries directly at BigTable, but that requires a little more effort. For many of you, this process may sound familiar. This approach of applying business rules for streaming data has many similarities to a Complex Event Processing (CEP) service. In fact, a wonderful implementation of a CEP that uses temporal reasoning is the Drools Fusion module. Amazing stuff! Why not just use a CEP? Unfortunately, business rule management systems (BRMS) and CEPs haven’t yet fully embraced the smaller, bite-size methodologies of microservices. Most of these system require a single monolithic instance that demands absolute data access. What we need is a distributed collection of rules that can be easily referenced and applied by a distributed set of autoscaling workers. Of course, we may need to correlate events into an interval that are outside the scope of the initial sensor. In the parking example, we see “payment made.” Payment is clearly not collected by the parking sensor. How do we manage this? By creating links between the interval and all known associated entities. Then, whenever a new event enters our system, we can add it to all related intervals (if the associated producer or its assigned groups are related). This sounds complex, but it’s actually rather easy to maintain a complex set of linkages in BigTable. Google does on a significant scale (like the entire internet). Of course, this would be a lot simpler if someone provided a serverless graph database! So, without diving too much into the complexities, we have the final piece of our architecture. We collect events into common groups (intervals), maintain a list of links to related entities (for updates), and apply simple temporal reasoning (business rules) to drive system behavior. Again, this would be a nightmare without using an event-driven architecture built on serverless computing. In fact, once we get a serverless graph database and distributed BRMS, we’ve solved the internet (spoiler alert: we’ll all change into data engineers, AI trainers and UI guys). This is where grouping comes in. It’s actually really easy with BigTable. Since BigTable is NoSQL, it means that we can have sparse columns. In other words, we can have a family called “groups” and any custom set of column qualifiers in this family per row. In other words, we let an event belong to any number of groups. We look up the current groups when the command is received for the device and add the appropriate columns. This will hopefully make more sense when we go deeper in part three. Another area worth a passing mention is extension and testing. Why is serverless and event-driven architecture so easy to test and extend? The ease of testing comes from the microservices. Each component does one thing and does it well. It accepts either a command or an event and produces a simple output. For example, each of our event Pub/Subs has a Cloud Function that simply takes the events and stores them in Google Cloud Storage for archival purposes. This function is only 20 lines of code (mostly boilerplate) and has absolutely no impact on the performance of other parts of the system. Why no impact? It’s serverless, meaning that it autoscales only for its needs. Also, thanks to the Pub/Sub queues, our microservice is taking a non-destructive replication of input (i.e., each microservice is getting a copy of the message without putting a burden on any other part of our architecture). This zero impact is also why extension of our architecture is easy. If we want to build an entirely new subsystem, we simply branch off one of the Pub/Subs. This means a developer can rebuild the entire system if they want with zero impact and zero downtime for the existing system. I’ve done this [transitioned an entire architecture from Datastore to Bigtable1], and it’s liberating. Finally, we can rebuild and refactor our services without having to toss out the core of our architecture—the events. In fact, since the heart of our system is events published through serverless queues, we can branch our system just like many developers branch their code in modern version control systems (i.e, Git). We simply create new ways to react to commands and events. This is perfect for introducing new team members. These noobs [technical term for a new starter] can branch off a Pub/Sub and deploy code to the production environment on their first day with zero risk of disrupting the existing system. That’s powerful stuff! No-fear coding? Some dreams do come true. BUT—and this is a big one (fortunately, I like big buts)—what about integration testing? Building and testing microservices is easy. Hosting them on serverless is easy. But how do we monitor them and, more importantly, how do we perform integration testing on this chain of independent functions? Fortunately, that’s what Part Three is for. We’ll cover this all in great detail there. In this post, we went deep into how we can make an event-driven architecture work on serveless through the context of a smart city platform. Phew. That was a lot. Hope it all made sense (if not, drop me an email or leave a comment). In summary, modern serverless cloud services allow us to easily build powerful systems. By leveraging autoscaling storage, compute and queuing services, we can make a system that outpaces any demand and provides world-class performance. Furthermore, these systems (if designed correctly) can be easy to create, maintain and extend. Once you go serverless, you’ll never go back! Why? Because it’s just fun! In the next part, we’ll go even deeper and look at the code required to make all this stuff work. 2 Did I put a footnote in a footnote? Yes. Does that make it a toenote? Definitely. Is ‘infanite’ a word? Sort of. In·fa·nite (adjective) – practically infinite. Google’s serverless offerings are infanite, meaning that you’ll never hit the limit until your service goes galactic.